Where to eat and drink on Koh Chang? 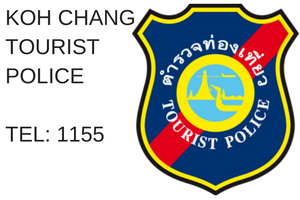 Koh Chang is not only about the beach. It’s a culinary destination in its own right with several top restaurants, stylish lounges and talented chefs. Take the opportunity to feast on freshly caught fish and exquisite seafood or indulge in genuine Thai cuisine. But it doesn’t stop there. Despite being an island, Koh Chang has a remarkably diverse culinary scene for you to discover, from authentic French creations to German pork knuckle and even great homemade Greek foods. Browse through our recommendations of restaurants and bars and find those that concur to your personal taste – Bon Appétit! Located on Kai Bae Beach, Chez David is known for its impressive selection of Belgian beer. Typical meatballs with mashed potatoes are one of the restaurant’s best-selling dishes, along with a lip-smacking selection of Thai and Western cuisines that range from French-style breakfast (they have assorted homemade bread and pastries) over blue cheese marinated mussels to Californian Chilli Con Carne. This restaurant is nice and relaxing and among Koh Chang’s most popular dining spots. Open: Daily, 08:00-14:00 & 18:00-22:00. 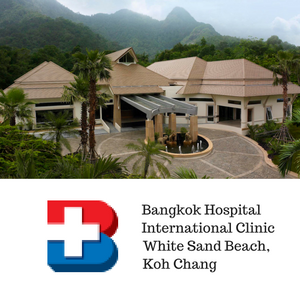 The restaurant is part of the same named resort, situated on Bang Bao Bay at the southwestern tip of Koh Chang. Known for its generously sized meals, the menu offers an array of Thai and western dishes such a shrimp cocktails, green chicken curry and steamed fish with lemon. In the evening, Buddha View becomes a truly romantic location with soft lighting, tables set on an airy terrace, and a good choice of cocktails and wines. For those looking for a good dinner with live music, Filou is the place to go. One might think that bars and lounges easily overcharge their customers around popular beach areas, but that’s luckily not the case here. Cocktails and draft beer are reasonable priced in addition to a large selection of solid burgers, schnitzels but also Thai favourites like Pad Thai and Green Curry. Live music changes between a rock band and a DJ that plays upbeat house and electronic tunes. One of the most difficult tasks when offering cuisine from the other side of the world is the creation of flavours that are distinctive to the food’s origin – a lot of pressure on the chef’s and owner’s shoulders. This little bistro is doing everything right and managed to make its mark on Koh Chang’s European dining scene. The menu includes fresh Tuna Tartar with sun-ripened papaya, Red Snapper Filet with tomatoes and Original French Salami Platter with warm dark rye bread. Moo4 is the perfect place to have a quality meal in a laid-back and intimate environment. Open: Daily, 08:30-12:00 & 18:00-22:00. Nestled along Klong Prao’s famous estuary the Blue Lagoon Restaurant is part of the same named bungalow-resort. Getting here is not easy but you’ll be rewarded with a fantastic thatched-roof dining area overlooking the lagoon in the most stunning way possible. Surrounded by mangroves and a lush jungle this charming restaurant is known for its friendly service and exceptional Thai dishes like KhaoSoi, Pad Thai and Banana Spring Rolls. And for those of you planning to stay here, why not attending one of their cooking classes? 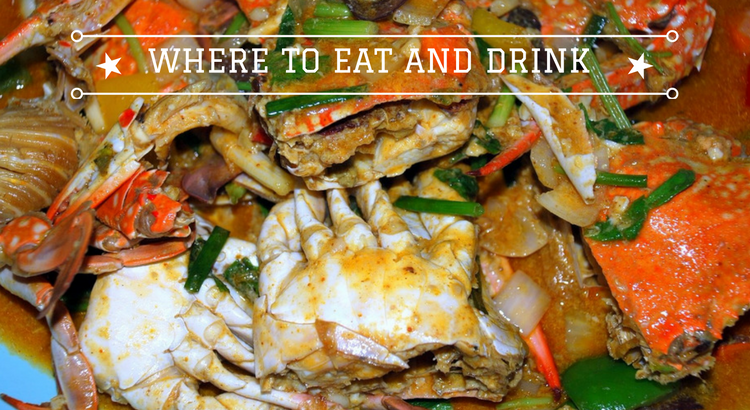 It’s impossible to not list any seafood restaurant and that’s why we included Nong Bua Seafood here. Situated on bustling White Sand Beach, the restaurant’s must try seafood dishes include Stir-Fried Scallops with Butter and Garlic and Stir-Fried Oysters with Eggs and Bean Sprouts. An established place within Koh Chang’s culinary world, Nong Bua serves food inspired by the region for young and old. Each dish is made with quality ingredients and tender meat. Also located in Bang Bao, El Greco is a waterfront bar & grill restaurant with Mediterranean style. While it seems a bit odd sampling Greek food in Thailand, you’ll be surprised by the authenticity and quality of the food here. Enjoy the mix of chilled beach vibe, dining and live music from morning into night. The menu presents an abundance of southern European dishes like gyros stuffed in homemade pita, salads and lasagna. Round up your dining experience with an original red or white wine from Greece. When you ask at your hotel for some bar recommendations, chances are high that Mojito Lounge will be on the list. This hip bar is located near the end of Kai Bae’s main strip and a great spot to kick back, sip a cocktail and relax. Once the DJ starts spinning funky jazz tunes the dance floor fills up quickly and you can see why Mojito is so popular. The lounge also hosts a series of regular events such as shows and cabarets. Aside cocktails you have a good selection of beers and shots. With so many restaurants on the beach you’ve been wondering whether there’s any cliffside location? You bet! Located 30 metres above the sea, dining at Paul’s Restaurant guarantees breathtaking views over the bay of White Sands Beach. The restaurant provides guest with tasty and authentic German cuisine such as schnitzels and pork knuckles. 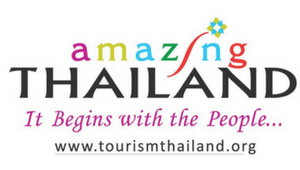 There are also delectable Thai dishes such as Pad Thai and Tom Yam. Have an Erdinger wheat beer along and you’re set for relaxing day. Open: Daily, 07:00-12:00 & 17:00-22:00. A classic nightlife location on Koh Chang, Oodies has been around for more than 17 years and remains among the most sought-after places around White Sands Beach; the atmosphere, live music and good food draws people from all walks of life no matter what age. Come around for an entertaining evening filled with lots of fun and good music. Dishes include a solid combination of Thai and Western such as pizzas, steak, salads and fried rice. It goes without saying that the locally caught seafood on Koh Chang should be tried. Likewise, there’s some awesome Thai food, but avoid the obvious tourist traps if you like it spicy. There’s also an array of Western food, with Italian being the most popular. Vegetarians may find it difficult, as there are few restaurants catering specifically for them.